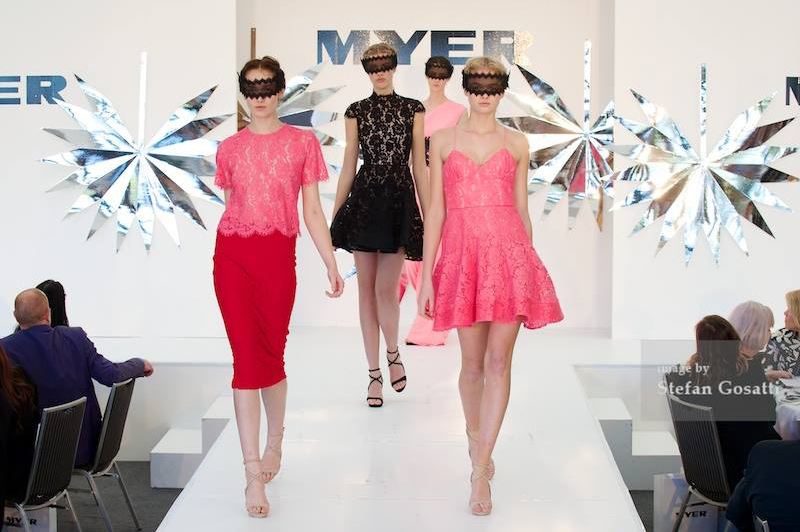 With any annual event it’s all about making the next year bigger and better, so in 2014 we were keen to help make the Telstra Perth Fashion Festival feel fresh and uniquely different. 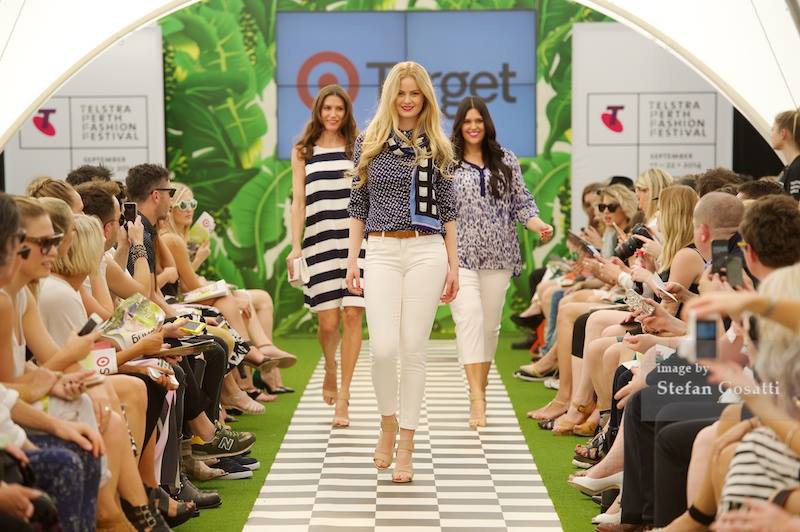 We proposed a large 20m x 40m marquee, which accommodated 660 guests, for the new location outside the Perth Concert Hall. 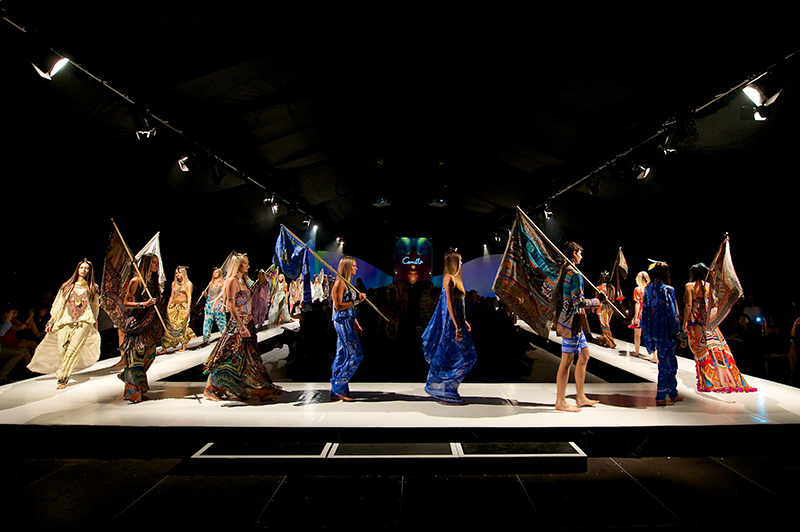 A sleek white vinyl catwalk was constructed to elevate the models, and the addition of Lux’s white Transformit Crescendo stage set provided a dramatic statement and a perfect canvas for projection. A centred 8m x 2.5m LED Screen was also included to capture audiences’ attention and display designer content during the week long festival. 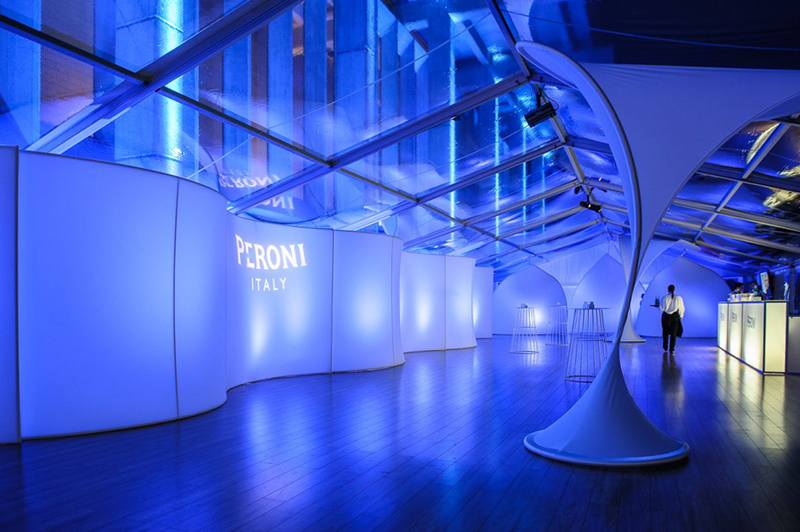 A private VIP Area with Peroni Bar was created using a 10m wide x 39m long clear marquee. 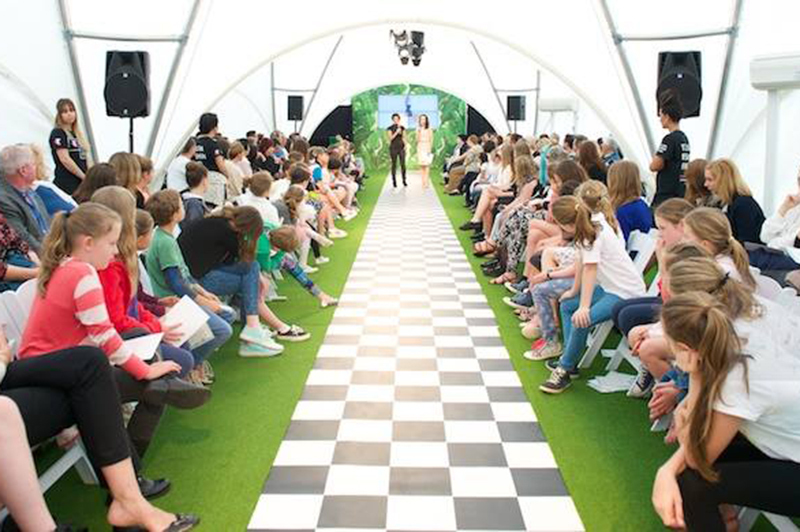 Lux’s curved, freeform white lycra contemporary sets were used to create a styled wall, with the design reducing the rectangular presence of the marquee and providing a more organic and intimate VIP fashion space. A new activation in 2014 was the huge projection onto the Duxton Hotel facade which proved a perfect platform for sponsorship branding. 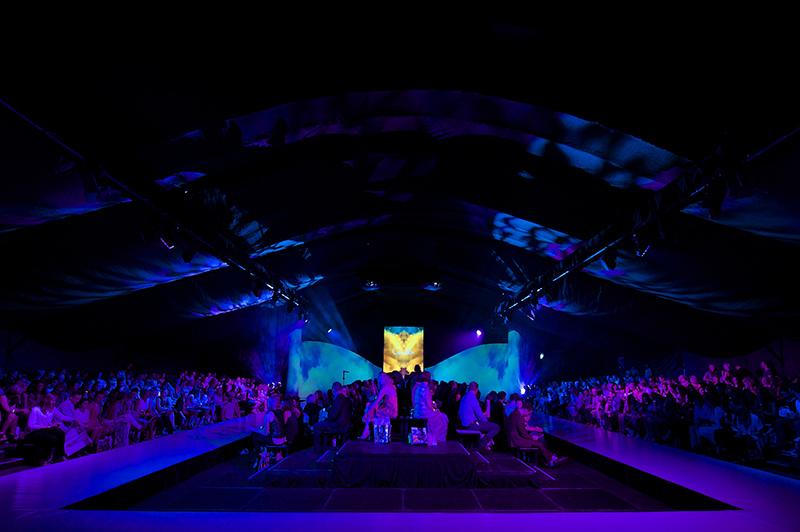 The strong branding of the Telstra Perth Fashion Festival, combined with unique event spaces by Lux, made the Telstra Perth Fashion Festival 2014 one to remember.